In England it was: "The Great Frost" ... In France: "Le Grand Hiver". Astrologers Ought To Have Seen It Coming . The Duchess of Orleans described it this way: "Never in my life have I seen a winter such as this one." Are We About To See Another One? have I seen a winter such as this one"
Fish froze in the rivers, trees exploded from the cold. Sailors froze to death while on their ships at sea. Bread had to be cut with an axe, nightcaps (which were worn at the time; for warmth) ... froze onto the beds. The Wheat crops failed and the fruit trees died, and the livestock froze in their barns. In France, forced by the government's fear of rioting; the nobility had to pay for soup kitchens. On the morning of January 6, 1709 the temperature had fallen to about 12ºF . For 3 weeks it froze. It warmed up for a short time then it froze again and stayed frozen from Scandinavia to Italy... from Russia to France ... all was at the mercy of the Snow Queen. All was still, silent, frozen or dead. Seas, lakes & rivers froze. Even the Earth froze 3 to 4 feet down. Travelers never made it to their destinations. Three months of "cold death" led to a year of famine ... and by 1710 ... 600,000 deaths. 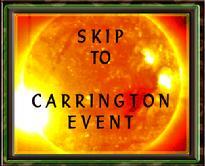 One "Harbinger" of that event was the Total Solar Eclipse of June 21st, 2001. It took place at: 00º Cancer 10'. On the 90° Dial, this would place the Eclipse at the Aries Point. Eclipses that occur at the Aries Point affect the World-At-Large. Indeed, almost the entire World has changed for one reason or another as a result of "911". The "Great Frost" of 1709 affected the "World-At-Large" as well. "Cold" of the Great Frost, lasted 3 months. Exactly the amount of time until the NEXT Solar Eclipse would begin on March 11, 1709. But, the aftermath of its effects lasted (in the form of famine) for a full year. 09º Scorpio 11'... "911" .... an interesting coincidence. SO: Just Before The Great Frost of 1709 there was also the Solar Eclipse that occurred on: 14 September 1708. That Eclipse was not at the Aries Point ... but Mars was. For Sept. 11th, 2001; the June 21st Solar Eclipse of 2001 was within 10' of the Aries Point... & Mars was also involved. It was the Mars=Hades that was the "indicator" for "911" (2001) and gave its exact date of occurrence and its time of occurrence within a 6 hour window. For Jan. 6, 1709; the prior September 14th Solar Eclipse of 1708 (the Solar Eclipse in effect for that time period) had Mars within 12' of the Aries Point.... again an indicator for possible death and destruction. Jan. 14th, 1709 at 9:06 AM.... IF the time is correct for the Eclipse Lunation. The Event actually arrived on Jan. 6, 1709 (8 days earlier that the predicted date). The severe cold lasted for 3 months, so 8 days is not too bad of a window given the occurrence took place in the 1700's. This Lunation rules the Lunation Week that contains the Date of January 6, 1709 when the Earth woke to a "Newly Frozen World". are the Radix Chart and the Uranian Dial of the Last Quarter Lunation of Jan. 3rd. NOTE: The Solar Eclipse Indicates the event and timing. The Lunation chart indicates the possibility of an onset for that particular Lunation week. The event is quickly visible on the 90º Dial. In the Radix Lunation Chart; Saturn which rules "cold" is in the 8th house of deaths & endings. "Environmental Forces Test the Soul" - "Trapped People" - "Battles With Nature"
"A Destructive Nature or Climate Cycle repeats" - "Destructive Weather or Nature Patterns"
The Uranus/Pluto = Hades Midpoint: "Sudden, massive, unpleasant changes" is in the 10th House. A Cold & Spotless Sun? The "Maunder Minimum" refers to a period of time between 1645 & 1715. Interestingly; May 3rd, 1715 ... was the last time a Solar Eclipse would be visible over London, England for the next 900 years. But, during the Maunder Minimum... sunspots were exceedingly low in number; and for its roughly 30 year period, only 50 sunspots were counted (as opposed to 40,000 to 50,000). 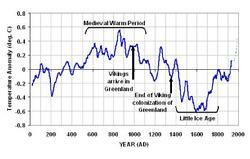 The Maunder Minimum occurred during the middle and coldest part of "The Little Ice Age". This was a time when Europe & North America experienced extremely cold winters. It was colder in most parts of the world. A Synchronistic Anomaly also occurred during this time. The Reign of King Louis XIV of France ... known as "The Sun King". 1816 was referred to as: "The year without a Summer". It was part of a "Grand Minimum" that lasted from 1800 - 1830. Yet another "Grand Minimum" occurred between 1903 - 1913. When the "Solar Minimums" occur, more Cosmic Radiation is able to reach the Earth as the Sun's Heliosphere shrinks; lessening the protection it provides the Earth. Over the last 8000 years there have been 18 Minimums.... so roughly the Sun spends 25% of its time in: "Minimums". During the Minimums there is less Carbon-14. During the Maximums (like the one just exited) there is more Carbon-14. Radiocarbon dating, however, can be very unreliable. Beryllium-10 is affected by the minimums and is one of the markers looked for in determining when the Minimums have occurred (before records were kept).